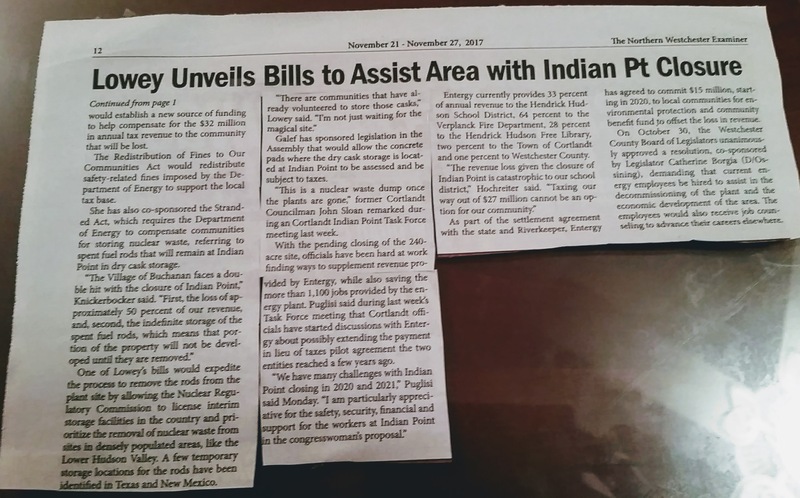 Congressperson Nita Lowey has three bills to help the area when Indian Point closes. While we might not agree with all three, we certainly appreciate her attention to a very important issue in her district. The Examiner News has this article about her recent visit. “The Redistribution of Fines to Our Communities Act would redistribute safety-related fines imposed by the Department of Energy to support the local tax base. 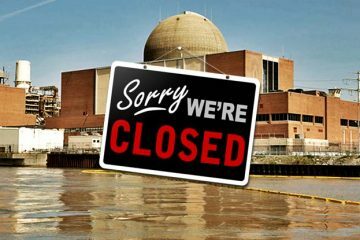 She has also co-sponsored the Stranded Act, which requires the Department of Energy to compensate communities for storing nuclear waste, referring to spent fuel rods that will remain at Indian Point in dry cask storage. . . . The third bill concerns us—although we are worried about the safety of storing irradiated fuel rods Indian Point, we realize that our communities have reaped the financial benefits from the Indian Point Energy Center, and we are concerned with the safety of transporting waste across the country, and skeptical about the voluntary nature of communities’ agreements to store high-level radioactive waste “temporarily”. We are concerned that an effort to move rods off-site quickly is in part motivated by a desire for a commercial reuse of the property—reuse that we believe to be at least decades away. 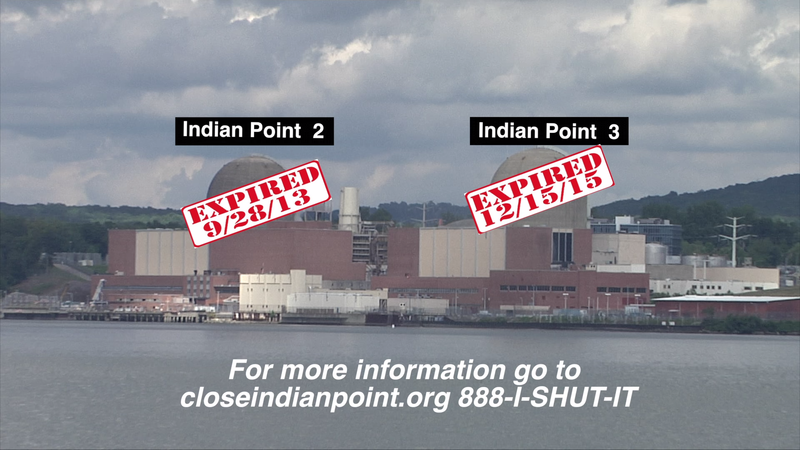 Tags: Indian Point, media, shutdown. Bookmark the permalink.